All of the furniture in the Conestoga Collection is Amish handcrafted from 100% solid hard wood. Our heirloom quality Amish furniture will grace your home for generations! 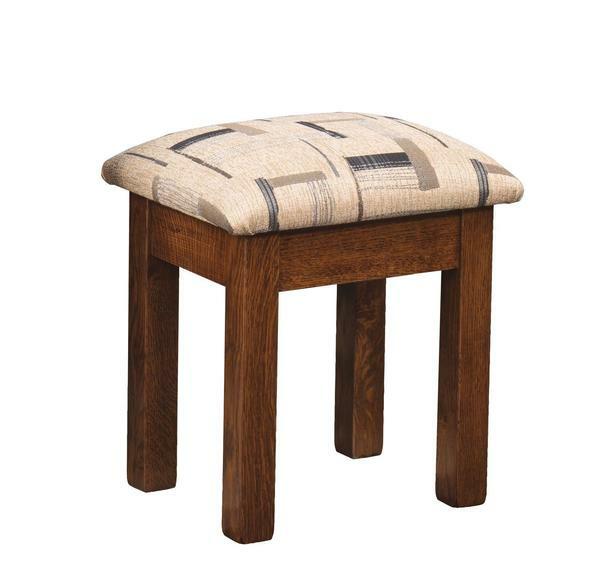 Allow the Amish Upholstered Mission Vanity Stool to provide you with a comfortable place to sit on in your bedroom suite!